Aaron Ramsey has signed a pre-contract with Juventus and could even officially join the Bianconeri this month, according to reports in Italy. On Wednesday, Juve director Fabio Paratici had said the Italian champions were "monitoring" the Wales international's transfer situation, with his Arsenal contract set to run out in the summer. And Sportmediaset are reporting that a five-year-contract worth €6.5m-per-year with bonuses has been agreed and the possibility of Ramsey moving to Turin this month is "not to be excluded." 23.45 GMT: That will do it for another day here with our Transfer Talk LIVE blog. We hope you enjoyed it and remind you to check back shortly for more rumours, reports and finalised deals from around the world of football. Take care! 23.20 GMT: Marseille are reportedly ready to relaunch a move for polarising striker Mario Balotelli. The French club attempted to sign the player in the summer before a move collapsed late but France Football writes, that Balotelli is again firmly in Marseille's sights. Still somehow just 28, Balotelli scored 43 goals in 66 games over the last two seasons with Nice but has failed to score this campaign in 10 outings. The Italy international has been been very public about how unhappy he is at Nice and it would seem selling the player would be best for both sides at this point. It is never boring when the "Balo Circus" comes to town, the question now is whether Marseille is the next stop. 22.48 GMT: Premier League leaders Liverpool are a tough side to get into at the moment just ask right-back Nathaniel Clyne. 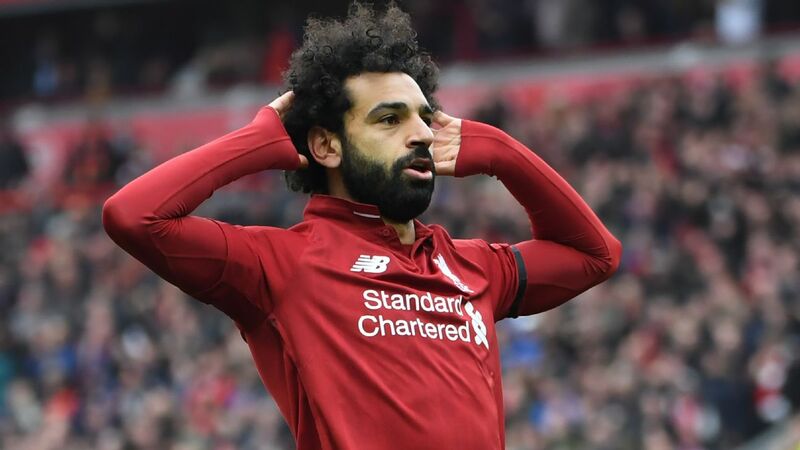 The 27-year-old England international has fallen down the pecking order at Anfield -- he's played 108 minutes in the league all season -- and could choose to seek a move in January in search of more playing time. The Sun claims Eddie Howe and Bournemouth are keen on bringing Clyne to the south coast, Howe looking for competition at right-back after Simon Francis' injury and with Adam Smith just returning after a long layoff. Cardiff are also reportedly interested in the player but with the Premier League title in his sights, it remains to be seen whether Jurgen Klopp would take a chance by letting Clyne, who could prove valuable cover, leave in January. 22.00 GMT: In the thick of it at the top of the Championship, Darren Moore and West Brom will certainly be looking to strengthen in January. Sky Sports News reports that the Baggies are monitoring Everton central midfielder James McCarthy. The Republic of Ireland international has been rehabbing from a severe leg break but is closing in on a return to action. With Jake Livermore serving a four-game ban and Gareth Barry (37), Chris Brunt (34) and James Morrison (32) all in their 30s, a loan move for fresh legs might do West Brom well. 21.08 GMT: With the worst defensive record in the Premier League (47 goals conceded), it is not surprise to see Fulham linked with signing defensive replacements. According to Love Sport, Fulham are closing in on adding out-of-favour Chelsea centre-back Gary Cahill on loan. The 33-year-old has played just 21 minutes in the Premier League for the Blues under Maurizio Sarri, and has publically been given the greenlight to leave Chelsea by the Italian boss. 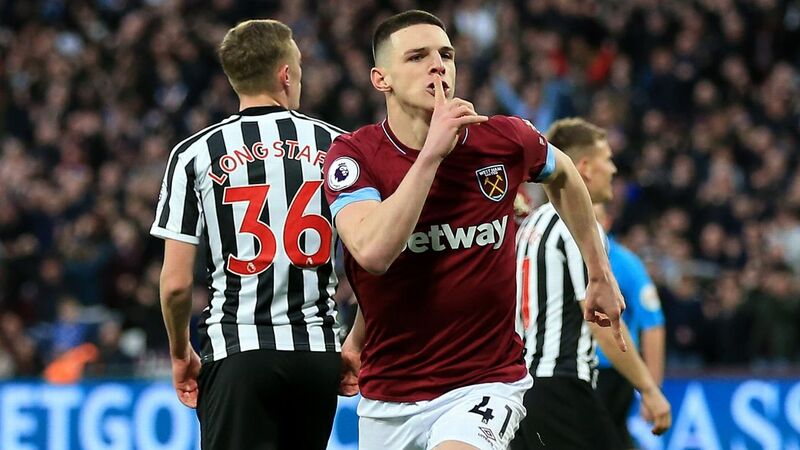 The two-time Premier League champion is immensely experienced in England's top flight and would provide some solidity and leadership to a Fulham defence that has severely lacked both and had a rude time of it since being promoted. 20.17 GMT: After signing United States international Christian Pulisic earlier this week, could Chelsea swoop for another promising CONCACAF youngster? Italian outlet Calciomercato, via TalkSport, suggests the answer is yes, with a recent report indicating the Blues are ready to bid £36 million for PSV and Mexico star Hirving Lozano. The 23-year-old nicknamed "Chucky" scored in Mexico's win over Germany at the World Cup and is in the midst of a second consecutive prolific season in Holland. 19.31 GMT: Alvaro Morata to Sevilla? The Spanish side are reportedly keen on signing another striker, and sporting director Joaquin Caparros refused to rule out a move for the Chelsea man. He said: "We are working on many names. The important thing is that the player wants to come to Sevilla." 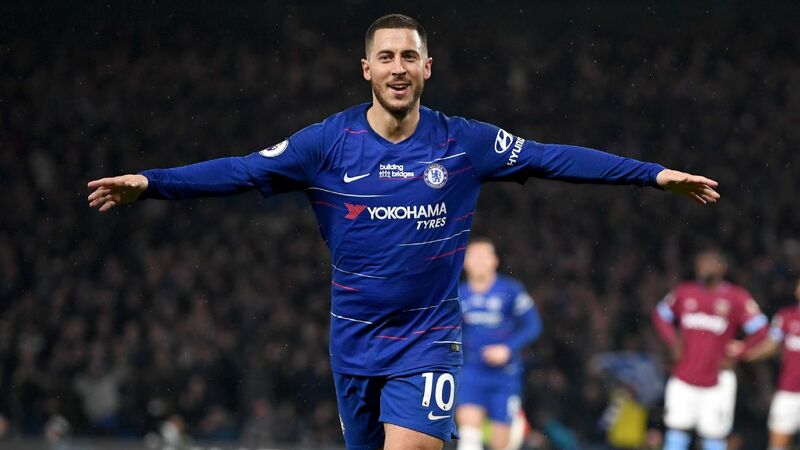 The 26-year-old Spain international has seven goals in 23 appearances this season but has been out of the team of late, Maurizio Sarri instead opting to go with Eden Hazard as a false nine. AC Milan have been another club heavily linked with a move for the ex-Real Madrid and Juventus hitman. 18.42 GMT: A reported deal that would send Club America youngster Diego Lainez to Dutch side Ajax is still in progress and could be completed this week, sources told ESPN Mexico. After a week of negotiations, the agent for the Mexico national team player was en route to Europe on Thursday. 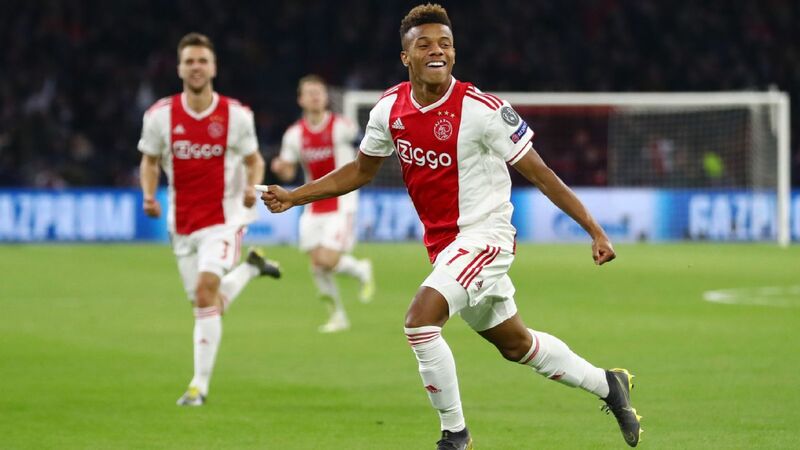 According to Dutch media reports, the offer from Ajax sporting director Marc Overmars for Lainez is close to $15 million, which is what Club America is seeking. Lainez helped America defeat Cruz Azul earlier this month to lift the 2018 Apertura trophy. Lainez himself told ESPN that he is just waiting patiently for whatever his future brings and trusts his agent. "Everything seems to be on track and now I am just waiting. I know the team leadership will make the right decision." Alongside Hirving Lozano, who moved to Holland 18 months ago, Lainez is rated as one of Mexico's brightest talents. 17.51 GMT: With Rangers level with Celtic atop the Scottish Premier League, first-year boss Steven Gerrard is giving it a real go. According to Sky Sports sources, Rangers have agreed to an 18-month loan deal for veteran Premier League striker Jermain Defoe. The 36-year-old, most famous for his time with Tottenham, has been with Bournemouth since 2017 and ranks as the Premier League's seventh all-time goalscorer with 162 goals. Gerrard played alongside Defoe with the English national team, and will know what a prolific finisher Defoe can be. After beating Celtic at the weekend, Gers again have showed they mean business this season in Scotland. 17.04 GMT: West Ham's pursuit of Gabriel Barbosa will have to wait until after they have offloaded Lucas Perez, according to La Gazzetta dello Sport. Flamengo are also interested in the Brazilian striker, but he would like to test himself in Europe following disappointing spells at Inter Milan and Benfica; and that could open the door to Fulham. 16.46 GMT: Monaco have confirmed the signing of Naldo from Schalke. The 36-year-old will hope to use all of his experience to help Monaco avoid relegation fro Ligue 1. 16.20 GMT: The future of Baba Rahman at Schalke is up in the air, after he was not called to the winter training camp. The left-back, who is on loan from Chelsea, was left out along with former Sevilla midfielder Johannes Geis and attacker Franco Di Santo, who, however, is still injured. 15.46 GMT: Napoli have played down suggestions of a return for former forward Edinson Cavani. "I do not think that the arrival of players like Edinson Cavani is part of the club's philosophy," sporting director Cristiano Giuntoli told Sky Sport Italia. "Napoli's strength is not to have Edison, but to create the next one." 15.20 GMT: Going back to Keylor Navas, reports in Spain claim that Navas has reached an agreement with Real Madrid that will see him continue at the club until 2021. The Costa Rica international has found playing time hard to come by this season following the arrival of Thibaut Courtois but €5m per year may have just persuaded him to stay put. 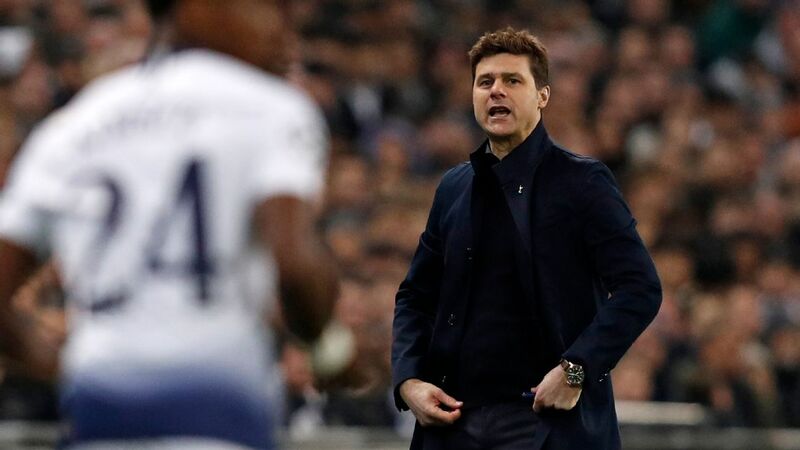 14.50 GMT: Christian Eriksen's Tottenham future is in doubt after Mauricio Pochettino admitted the player's contract situation is still some way off being resolved. "What's going to happen between him and the club is not only in our hands," Pochettino said of Eriksen, who is in the final 18 months of his contract. 14.19 GMT: At a news conference to preview Arsenal's FA Cup third round tie against Blackpool, Unai Emery was asked reports claiming he wanted to sign Real Madrid goalkeeper Keylor Navas. *When asked about the reports Emery responded: "Not true." "We never speak about one goalkeeper because I we are very happy with the three goalkeepers we have now," Emery said. "We never speak about Keylor Navas." 13.39 GMT: TyC Sports have reported that Boca Juniors have received a $15m offer from an unnamed Chinese club for striker Dario Benedetto. The player, who missed the World Cup with a ruptured right ACL, is tied to Boca until June 2021. Boca have no intention of selling the 28-year-old, who has a $22m release clause. 13.16 GMT: Bayern Munich have made a fresh bid of £30 million for Chelsea's Callum Hudson-Odoi, according to reports. This is just £10m short of the club's record fee -- paid to sign Corentin Tolisso from Lyon last summer. Having secured a deal for Christian Pulisic, will Chelsea let Hudson-Odoi go? 13.01 GMT: Juventus director Fabio Paratici spoke yesterday about the club's interest in Aaron Ramsey, who is likely to be available from Arsenal on a free transfer in the summer. However, the second most expensive player in football history is also a player Paratici likes -- but is unlikely to ever be able to acquire. "Kylian Mbappe being my new dream is a very fanciful hypothesis," Paratici said. "Fantasy helps, but in January or even the summer, his is a very difficult name." 12.38 GMT: Real Madrid have signed Melilla starlet Mohamed Mizzian on loan with a purchase option included in the deal, the Spanish third division side announced. The 18-year-old forward, whose contract with Melilla expires this summer, is set to play for Madrid's reserves but could also see playing time in the first team. Madrid will have until July 15 to exercise the purchase option on Mizzian. The player, who featured in the Copa del Rey tie between the clubs last month, was also a reported target of Barca. 12.14 GMT: Chelsea spending €64 million on signing Christian Pulisic means he will get first-team chances -- but then it's up to him to make the most of those, writes Jeff Carlisle. 11.51 GMT: A report in Marca suggests Arsene Wenger and Ronald Koeman are in the hat as potential replacements should Ernesto Valverde leave Barcelona. 11.32 GMT: Mesut Ozil's agent Erkut Sogot has told Spox that the midfielder's "future is at Arsenal -- end of story." Citing his current deal until 2021, Sogot warns Gunners fans that "he might stay longer than that." 11.11 GMT: Leganes have completed the loan signing of Martin Braithwaite from Middlesbrough, until the end of the season. 10. 48 GMT: Timo Werner recently dropped hints that Bayern Munich could be an option for him from 2019-2020. The Germany attacker has yet to put pen to paper on a new RB Leipzig deal as he enters the final 18 months of his current contract. 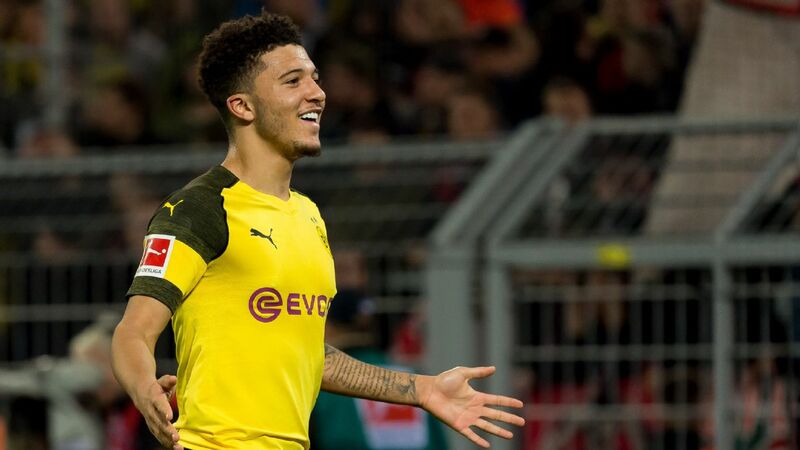 "It's only logical that a player like him is being courted by clubs who have a completely different sporting perspective and completely different financial means," Leipzig CEO Oliver Mintzlaff told kicker. But as long as we continue to develop as club, and Champions League would be really helpful, I think Werner continues to be in good hands here. "But, sure, we must know by the end of the season latest what the plan is. Of course, a club like ours can't afford to go into the final year of Timo Werner's contract. We've discussed this with him and his agent. And all parties understand that." 10.25 GMT: The agent of River Plate goalkeeper Franco Armani has said the Argentina international is a reported target of several clubs in Europe but is likely to stay put at least until the summer. The 32-year-old won the Copa Libertadores last month in his first season at River, the club he joined in January 2018 after seven seasons with Colombian outfit Atletico Nacional. 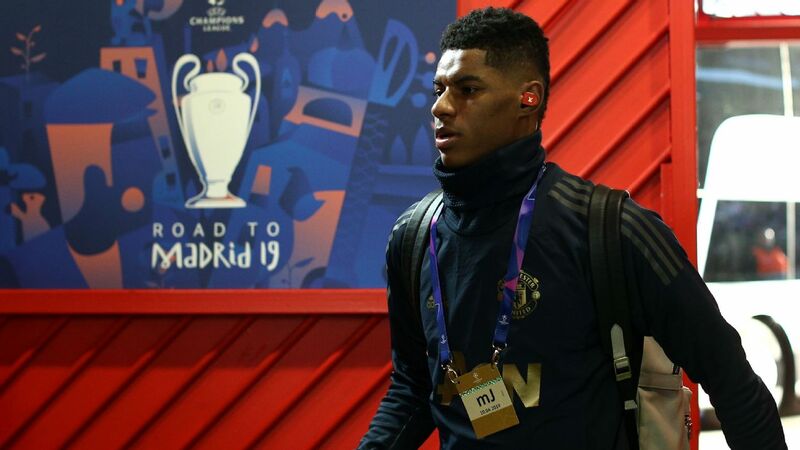 "There are talks about Franco but nothing concrete," Armani's agent Martin Araoz told Ole. "Several European clubs are asking about his citizenship status but he [Armani] says that things will happen at the right time. "River must be calm, if he does leave. It will not happen from one day to the next. Armani is very happy and comfortable at River. "For the time being there is nothing concrete. We believe that the market will be strongest in June." 10.04 GMT: Chelsea expect Saturday's FA Cup third round tie against Nottingham Forest to be Cesc Fabregas' final appearance for the club as he closes in on a January move to Monaco, sources have told ESPN FC. Monaco, managed by Fabregas' former Gunners teammate Thierry Henry, are believed to have offered a three-and-a-half-year contract and are keen to bring him in as soon as possible to help in their bid to avoid ending a disastrous campaign with relegation from Ligue 1. 09.44 GMT: PSG are interested in signing Vasco da Gama's young left-back Riquelme, according to Globoesporte. The 16-year-old has recently became a client of the agency company owned by Neymar's father. 09.22 GMT: Juventus will attempt a move for Aaron Ramsey in January, according to Il Corriere dello Sport. The report claims they are in front of PSG, Bayern Munich and Real Madrid in the pecking order as the Wales international has already said "yes" to a deal with the Italian champions. 09.00 GMT: Daniele Rugani's agent says the Juventus defender is not going anywhere this winter, even if he's had only limited opportunities with the Bianconeri so far this season. Rugani is one of five central defenders on the Old Lady's books -- with Giorgio Chiellini and Leonardo Bonucci playing the most matches, and Andrea Barzagli, Medhi Benatia and Rugani on the fringes -- but his agent Davide Torchia has told RMC Sport that Juve is still the right club for him. The 24-year-old has been linked with moves to Chelsea and AC Milan. "Rugani's a reliable player -- precisely a Juventus kind of player," he said. "A player doesn't stay four years at Juve by chance, it's because he deserves to be there and [his sale] has never been up for discussion; he's never been one of those players Juventus could consider selling, which means he's done well. Yes, there's no doubt [he's staying in January]." 08.05 GMT: Atletico Madrid's chances of keeping hold of defender Diego Godin beyond the summer are slim, according to Marca. The Spanish daily reports that a new contract proposed to ward off interest from Manchester United last summer is yet to materialise. Neither Godin nor his sister and agent, Lucia, have received any concrete offer to give the Uruguay international a new deal despite his current one expiring this summer. The 32-year-old -- ranked at No. 3 among the world's centre-backs in the ESPN FC 100 -- is now free to agree a summer free transfer to clubs outside of Spain. Will United come back in for him? The German champions have returned to Chelsea with a bid of €33 million for Callum Hudson-Odoi according to Goal Bundesliga journalist, Ronan Murphy. The Bavarians saw their opening offer of £20m rejected by the London club, but they hope that an improved offer will be too good to turn down. Hudson-Odoi's first-team minutes have been limited at Chelsea, who have recently splashed some cash of their own -- €64m on Borussia Dortmund's Christian Pulisic. The Blues are said to value Odoi at a similar price to that which they paid for the American, which begs the question: Why didn't they just keep Hudson-Odoi instead of signing Pulisic? Barcelona's Brazilian forward Malcom only signed for the club this summer, but is so far not seeing much game time at the Camp Nou. Spanish newspaper Marca are reporting that a number of clubs are testing the water when it comes to a transfer, including Everton. Malcom has expressed his desire to stay, but should he move to Goodison Park then it's likely that he would be offered more first-team football than he is currently getting. Everton are experiencing a rotten run of results, and an injection of pace and creativity in attack, which Malcom would offer, may be just what they need. Manchester United and Arsenal are interested in signing Cagliari midfielder Nicolo Barella, according to various reports in Italy. The Sardinian club are asking €50 million for the 21-year-old, who made his Italy debut in October and has been an ever-present for his country since. Napoli are reported to have made the first bid of €20m plus Marko Rog and Adam Ounas. Inter Milan are also in contention, and La Gazzetta dello Sport claim he would prefer a move there. However, reports in La Gazzetta and Il Corriere dello Sport suggest the Serie A duo have competition from United and Arsenal, who are monitoring the situation closely. Seeing as Pulisic won't be joining until next summer, there are rumours that Chelsea are still in the market for a forward this month. They have been linked with Bournemouth's Callum Wilson, who is a possible solution, and the Chelsea manager said after Wednesday's 0-0 draw with Southampton that he needs "something different" up front. "The club knows very well my opinion. I think we need something different for characteristics," Sarri responded when quizzed on Chelsea's transfer plans. The Italian rarely speaks out on transfer issues, but it's now clear that he would like to add a striker in January. Daniel Sturridge has had to settle for a bit-part role at Liverpool this season due to the continued good form of Roberto Firmino and Mohamed Salah. The striker is out of contract in the summer, but according to the Daily Mail, the club will offer him a new deal to deter interest from a number of clubs including Sevilla, Valencia, Monaco, AC Milan and Inter. Sturridge could be vital to the club's trophy chase in the latter half of the season, when they will be taking part in the business end of the Champions League, and also entering the FA Cup, while looking to retain their place at the top of the Premier League. Despite his lack of appearances Sturridge still boasts a good goalscoring record, and has scored four in just 502 minutes so far this season. Liverpool would at least look to receive a transfer fee for the striker, and offering him a new contract would raise his value. Our top transfer today involves the attacking midfielder's move to Huddersfield. The BBC report that Puncheon is likely to move on loan initially. He's not getting game time at Palace, and David Wagner's side need a player to help kick-start their season. The 33-year-old utility player is available on a free transfer at the end of this season, and Serie A clubs love a bargain. 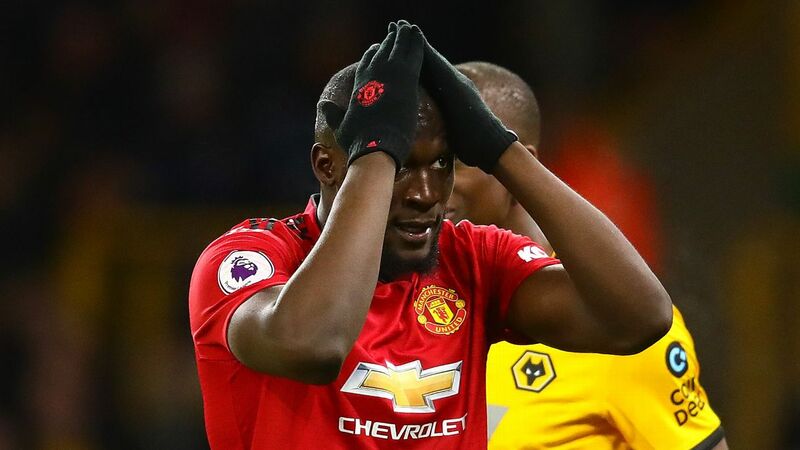 The Daily Mail reckon that Inter have offered a two-year deal to the 33-year-old, although Manchester United are also believed to have a one-year extension on the table. 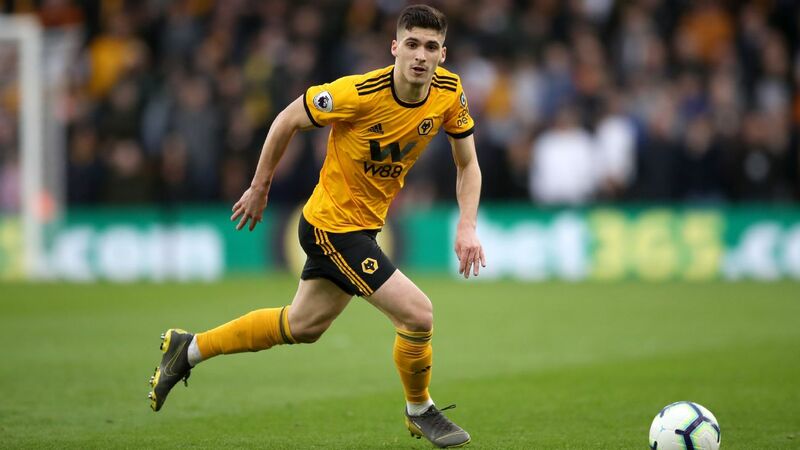 Reports in Italy state that Wolves have made an audacious bid to land the highly rated 21-year-old defensive midfielder. The Napoli star is likely to cost somewhere in the region of £35m, although they will look to negotiate a lower price according to Tuttomercato. Another grower amid rumours that the Premier League club are still looking to bolster their goalkeeping options despite the arrival of Bernd Leno. Spanish outlet Sport believe that the club are looking for the agile Real Madrid man to come in as their No. 1, which could be an attractive offer for the Costa Rican who is currently the backup at Real Madrid. This is one in the early stages, with plenty of rumours flying around, including from Tuttomercato in Italy. 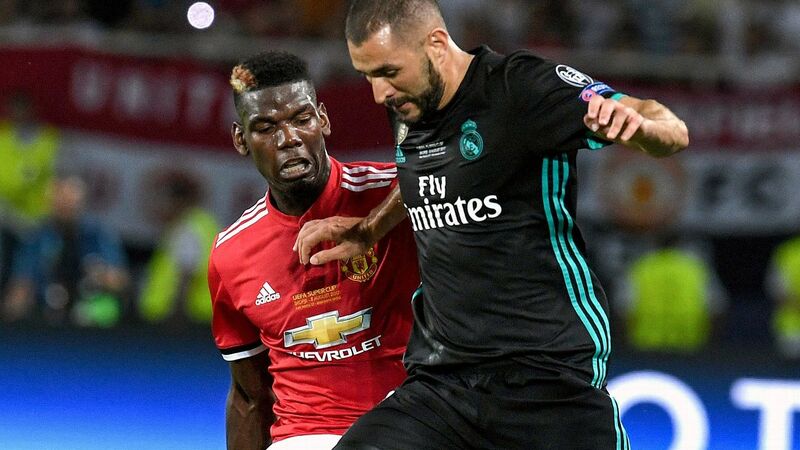 The Greek centre-back has a release fee of £32.4m, and Manchester United will hope to boost their defence by activating this before Roma are able to offer a new contract.